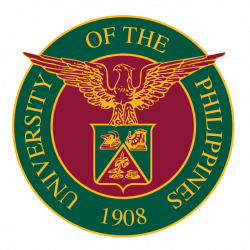 Philippine Supreme Court Senior Associate Justice Antonio Carpio warned of this grim possibility during the annual UP Alumni Council Meeting on August 18 at the Ang Bahay ng Alumni, UP Diliman, where he was the featured speaker. He said that this eventuality looms large if Reed Bank is not secured by the Philippines as soon as possible. It is intended to replace the Malampaya gas field, which supplies 40 percent of the energy requirement of Luzon and is projected to run out of the resource in less than a decade. Reed Bank, which is well within the 200- nautical mile (NM) Philippine exclusive economic zone (EEZ), is being claimed by China, which is more than 500 NM away. This warning was part of Carpio’s lecture, “The South China Sea Dispute: Philippine Sovereign Rights and Jurisdiction in the West Philippine Sea.” In it, he explained how the Philippines won its arbitration case against China at the UN Convention on the Law of the Sea (UNCLOS) Tribunal, talked about the Philippine claim to Scarborough Shoal, and allayed fears of a possible war with China. He first discussed each of the five major issues raised by the Philippines which were resolved in the country’s favor by the UNCLOS Annex VII Tribunal and began with China’s claim to historic rights using its nine-dash line map. To counter this claim, the Philippines presented Chinese maps as early as 1136 that showed China’s southernmost territory to be no farther than Hainan. And even when it expanded that part of its territory in 1932, it only reached the Paracel Islands, 145 nautical miles (NM) from Hainan. China’s nine-dash line map, which claimed 85.7 percent of the South China Sea, was presented to the UN in 2009. To strengthen its position, the Philippines showed Abraham Ortelius’ 1595 map of the South China Sea, which was then known as the Champa Sea. In Jan Huygen Van Linschoten’s 1596 map, the names of islands within the Champa Sea started with “Pulo,” which means island in Tagalog. Vincenzo Coronelli’s 1688 terrestrial globe also showed the then unnamed Spratly Islands to be within Philippine territory. Fast forward to 1734 with Pedro Murillo Velarde’s “Carta Hydrographica y Chorographica delas Yslas Filipinas,” known as “The Mother of all Philippine Maps,” that showed not only the Spratlys but also Scarborough Shoal, named Panacot at that time, as part of the Philippines. On Scarborough Shoal, also called Panatag Shoal or Bajo de Masinloc, the Tribunal agreed with the Philippines that it is a high-tide elevation entitled only to a 12-NM territorial sea, and not a 200-NM EEZ because it is a rock that is incapable of sustaining human life. It also ruled that “the territorial sea of Scarborough Shoal is a traditional fishing ground of Filipino and Chinese fishermen, as well as fishermen from other countries”, so China does not have the power nor the authority to stop Filipino fishermen from fishing in the area. Finally, the Philippines asserted that China committed unlawful acts within the Philippine EEZ by interfering with Filipino fishing activities, including: imposing a fishing ban; preventing petroleum activities of Filipino vessels; failing to prevent Chinese fishermen from fishing; and, constructing islands and structures not only within the Philippine EEZ but also on its continental shelf. The Tribunal agreed on all points. Carpio then gave a brief background on the Philippines’ claim to Scarborough Shoal, highlighting the Treaty of Washington in 1900, the second treaty between Spain and the US. Scarborough Shoal was not inside the treaty lines during the first treaty between both countries in 1898,the Treaty of Paris, which is commonly taught in Philippine basic education. It is in the 1900 treaty where Spain stated that it also ceded to the US, “all title and claim of title, which [it] may have had at the time of the conclusion of the Treaty of Peace of Paris, to any and all islands belonging to the Philippine Archipelago, lying outside the lines” of the Treaty of Paris. Carpio bemoaned the lack of significance placed upon the Treaty of Washington in Filipino school books. As for China launching an armed attack against the Philippines, Carpio explained that China’s policy is to conduct what it calls its “The Three Warfares.” He said that in the South China Sea dispute, these tactics have been evident. First is public opinion warfare, where a historical narrative is repeatedly asserted so it is universally accepted even if it has no basis in fact. Second is legal warfare, “assert a legal basis for the historical claim to justify that claim as an exception to prevailing legal norms.” Third is psychological warfare, where might, power, and capability are overtly displayed to intimidate other parties into submission.